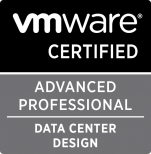 This evening VMware released Update 2 for ESX/ESXi 4, vCenter Management Server 4, vCenter Update Manager 4 and VMware Data Recovery. A quick scan of the ESX 4 Update 2 release notes shows expanded support for FT on Intel i3/i5 Clarkdale, Xeon 34xx Clarkdale and Xeon 56xxx processors. Support for IOMMU on AMD Opteron 61xx and 41xx processors. Guest OS support for Ubuntu 10.04 and improvements to esxtop and resxtop to include NFS performance statistics Reads/s, Writes/s, MBRead/s, MBWrtn/s, cmd/s and gavg/s latency. Included in the resolved issues is a change in the way the Snapshot Manager “Delete All” operation works. In previous versions the snapshot farthest away from the base disk was committed to its immediate parent, then that parent would be committed to its parent until the last remaining snapshot is committed to the base. The release notes report that this operation will now start with the snapshot closest to the base disk and work toward the farthest. This should reduce the amount of disk space required during the “delete all/commit” operation and reduce the amount of data that is repeatedly committed. I think this is a great change. I have seen customers run out of space in datastores when the failed to keep track of active snapshots and didn’t understand the “delete all/commit” process. Among the resolved items, there is an update JRE (1.5.0_22) and number of fixed related to Host Profiles, support for vSwitch portgroup named longer than 50 characters, advanced settings to allow the use vDS connections as additional HA heartbeat networks, the addision of a parameter in vpxd.cfg to set a greater timeout value for VMotion operations involving VMs with swap files on local datastores, among many others. In the known issues section is astatement that while USB controllers can be added to VMs, attaching USB devices is not supported and that vSphere Web Access is experimentally supported. The vCenter Update Manager 4 Update 2 release notes list improvement of operations in low bandwidth, high latency and slow networks, including a reference to KB 1017253 detailing the configuration of extended timeout values for ESX, vCenter and Update Manager Update 2. The compatability matrix shows that Update Manager 4 Update 2 is only compatible with vCenter Management Server 4 Update 2. The following enhancements have been made for this release of Data Recovery. •File Level Restore (FLR) is now available for use with Linux. •Each vCenter Server instance supports up to ten Data Recovery backup appliances. •The vSphere Client plug-in supports fast switching among Data Recovery backup appliances. ◦The means to name backup jobs during their creation. ◦Additional information about the current status of destination disks including the disk’s health and the degree of space savings provided by the deduplication store’s optimizations. ◦Information about the datastore from which virtual disks are backed up. The support for up to 10 Data Recovery appliances per vCenter will allow up to 1000 jobs (100 per appliance x10), this is a significant increase in backup capacity. vSphere 4 Update 2 components can be downloaded here.